From Highway 59: Exit West Bellfort and proceed Northwest on West Bellfort approximately 1.5 miles. Turn Left onto Huntington Estates Drive. HomeTowne on Bellfort will be to your right. From Highway 6: At the intersection light of West Bellfort and Hwy 6 proceed east approximately 1 mile. Turn right on Huntington Estates Drive. 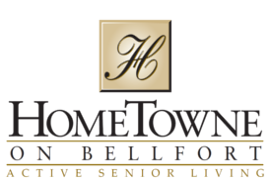 HomeTowne on Bellfort will be to your right.